2017 slipped away from me quietly. I spent it back at home in my parents house with them and the boy child while the OH had to work. We never really do anything on New Years Eve, the parents usually come to us and we get take away and watch RTE 1 until they do the countdown which they mess up every single year! 2017 was a bit of an odd year to be honest, it felt like we were just surviving, just about keeping the heads above water in every aspect. We were caught for finances and time a lot in 2017 from the very beginning and when the OH lost his job last January I honestly didn't know what we were going to do, but as everyone said "Don't worry you'll be fine" and we were, still are. We made it through, it's been tough and it's not over yet but we are so close to the finish line in this chapter of our lives, change is on the horizon and well, I'm excited for 2018. 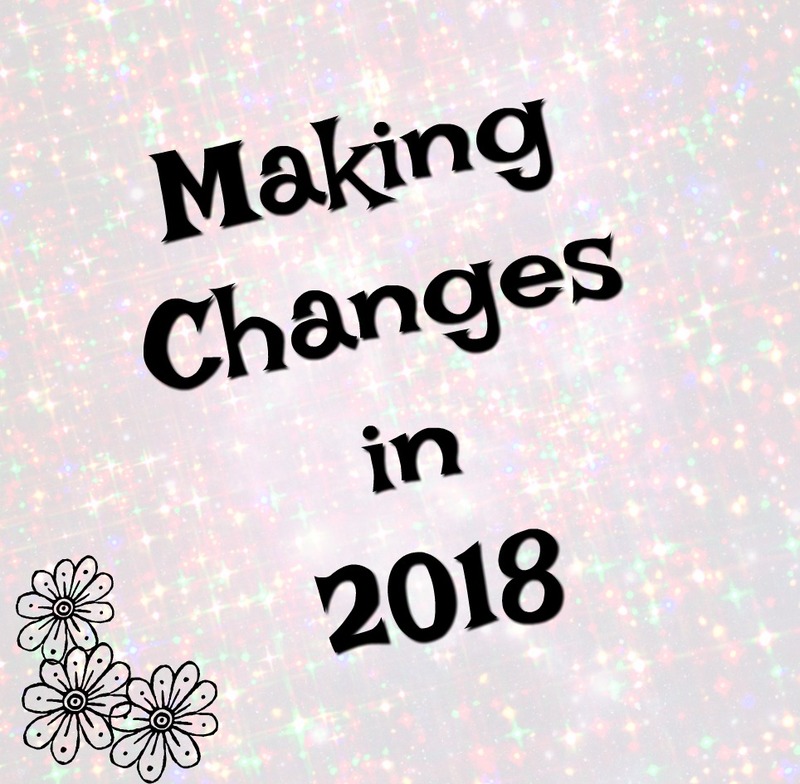 I usually make resolutions that I never stick to but these aren't resolutions as such but things that deserve a bit more of my time and attention, all things that were put on the back burner while we got through 2017. Blogging - My blog has and is a hobby of mine, it's not my job and I don't rely on it financially so I do it out of total love. It's taken a hit in recent times and been neglected both in the frequency of posts as well as the quality of posts. I aim to give it a bit more love this year and make an effort to create interesting content. As well as loving my own blog, I want to share that too, I've not kept up with my favourite blogs and I miss reading them and discovering new ones so I'm going to make more of an effort to read and share. Photography - I will, I swear I will, actually finish the online photography course I've started. I need to understand the camera better and make better use of it, or y'know actually pick the thing up and turn it on! It's a pssion of mine, I lvoe capturing, editing and creating pictures and I missed it more than I thought last year. Health - One of my last posts of 2017 was about how I'd been put on medication for high blood pressure and I'm determined to take better care of myself to reduce the risks associated with it. There are a few steps I can take to do this and I will hopefully share what I find effective. I was given a clean bill of health this time last year with the exception of high BP and to keep an eye on it, I didn't and well now I suffer the consequences so it really needs to take priority this year. Wellbeing - As the point above I also neglected my own wellbeing last year, resulting in stress related headaches, weight gain, skin break outs and just an overall not looking after myself and minding myself. I let things go a lot and it doesn't make me feel good. I want to feel energised and positive, not sluggish and unmotivated. This has been going on for more than the last 12 months but the shock of the BP diagnosis really hit home for me. I aim to stress less, or at least manage it better. Time Management - I really need to manage my time better. Holding down a full time job and having an energetic 4 year old at home, there's not much spare time left in the days but what is there I need to use more wisely. It's so easy to say "Argh I don't have time for that" but if it's something I really want to do I'll make the time. Organisation is the key here and lists, I lvoe a good list and they really help wiht hitting the mini goals. Small changes on this issue I hope to make are getting up even a half hour earlier to save the last minute rushing, utilising the time I spend on the computer and being more productive on it, planning a week in advance for things that need to get done - I've a fancy new journal to keep track of all this. Reading - I love reading, I used to be an avid reader but since L came along and life picked up a very fast pace my reading time has dwindled and it's something I miss. I have a pile of books next to my bed that I have every intention of picking up every night but never do. This is something I really want to change. Family Time - Something we have very little of in recent years but this year I want to see big changes in that and priotitise our time together. L loves having his mum and dad to himself and going off on little adventures and I feel like this year it's more important than ever before he makes his way into Junior Infants and proper school life begins. I'd like to think all of the above is achievable and that I put my focus back on some of the more enjoyable aspects of life. Great aspirations there and most of them are lovely things to achieve so good luck with each and every one. 5 Ways To De-stress...And Lower the BP!